The three core bottles from Jim Beam’s Knob Creek line are getting a sleek, modern redesign in the form of a new label. Knob Creek Small Batch, Single Barrel, and Rye are each getting an updated look. 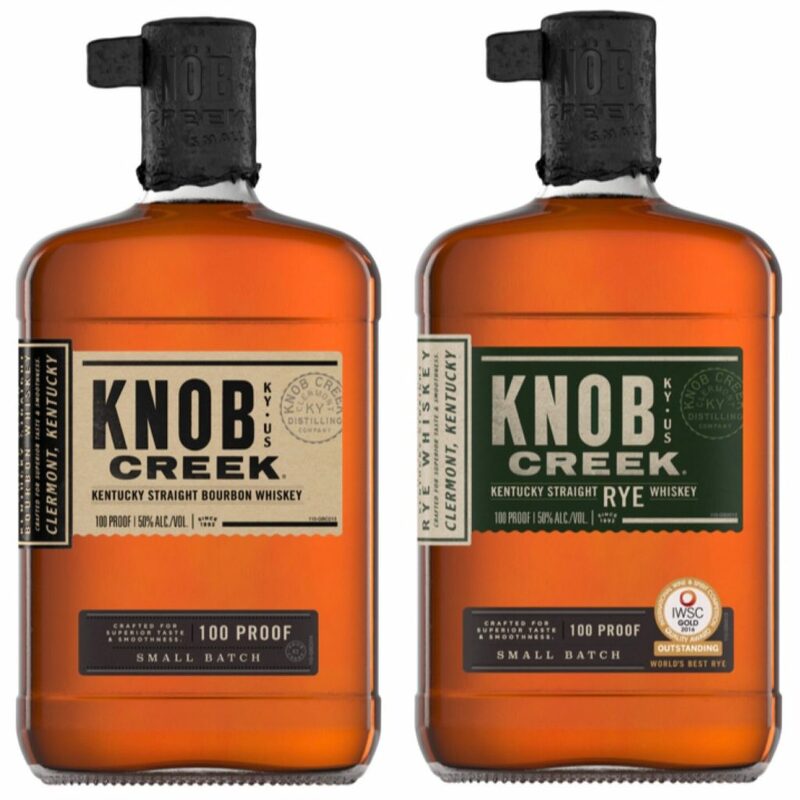 While there have been a variety of Knob Creek limited edition bottlings released lately (see: Twice Barreled Rye), their labels have already somewhat deviated from the standard look. Moving forward, we expect to see the limited edition bottlings sporting the newer, sleeker style as well. New Labels for Knob Creek Small Batch Bourbon and Rye. Courtesy Jim Beam. The Knob Creek label was introduced 25 years ago by Jim Beam’s late and legendary Master Distiller Booker Noe as part of the Jim Beam Small Batch Family. The family currently consists of Knob Creek, Booker’s (his namesake uncut and unfiltered bottlings), Baker’s (the 107 proof, 7 year variety), and Basil Hayden’s (a drinkable 80 proof). All are made with the same rye bourbon mashbill. The high proof, spicy, prohibition style bourbon and rye inside the bottles will remain the same – but expect to see the new labels hit the shelves soon. Prices will remain the same – around $47 for the Single Barrel, $35 for the Small Batch, and $35 for the Rye. 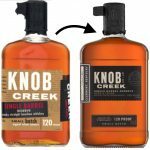 The post Check Out The Newly Debuted Knob Creek Label Design appeared first on The Bourbon Review.